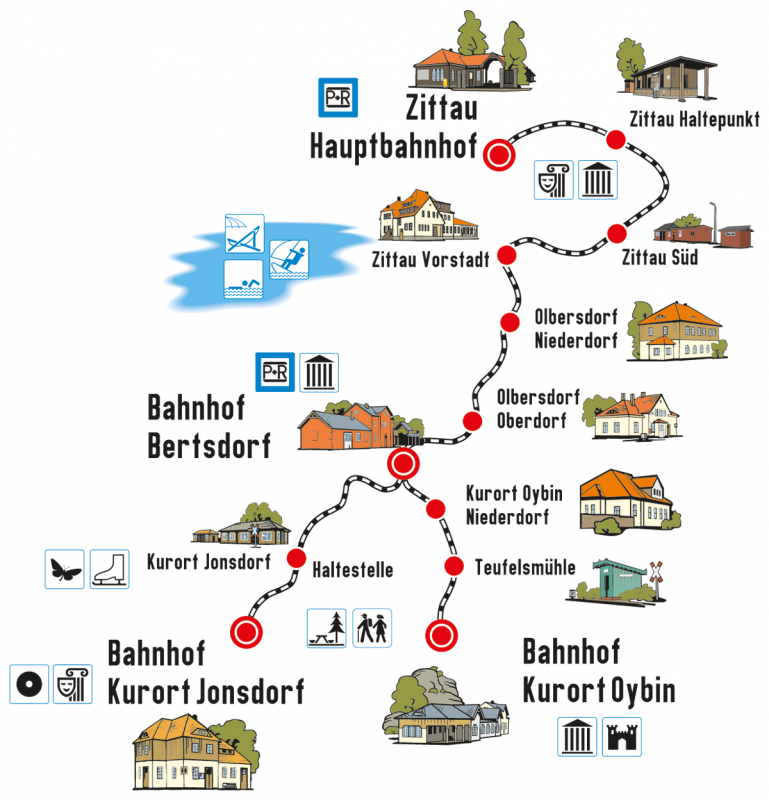 There is hardly any other railway that offers so many scenic and historic attractions as the Zittau Narrow-Gauge Railway does with ist 10-mile (16-km) railway network. You may, for instance, watch the simultaneous departure of two steam trains from Bertsdorf station, which is a unique spectacle offered regularly by the Zittau Narrow-Gauge Railway. The train stations of the Zittau Narrow-Gauge Railway are popular starting points for hikes into the Zittau Mountains. daily from 08:30 a.m. to 1:30 p.m.